Oakley is broadening its horizons. 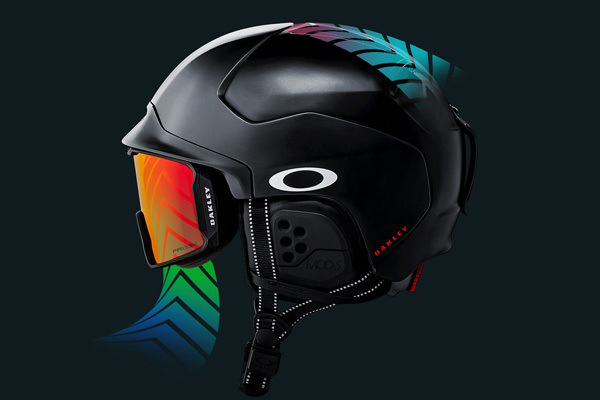 After building a solid reputation as a quality sunglass manufacturer, the company presents MOD5 and MOD3, its very first ski and snowboard helmets. These two helmets offer much more than perfect goggle integration thanks to its Modular Brim System. Oakley has also added a modular ventilation system that efficiently evacuates heat to reduce fogging. The helmet’s solid build protects its wearers from blows to the head, thanks namely to the MIPS system. Integrated in both MOD3 and MOD5, MIPS offers greater protection by reducing rotational motion to the brain. Oakley promises skull-fitting, moulded adjustment for a comfortable day on the slopes, until the very last run. The ear pads are nearly invisible and do not put any painful pressure on the ears.